View our beautifully made bespoke kitchens gallery. We cover East Dulwich and the South London area. Our kitchens are all uniquely designed to fit the specific styles and needs of our clients. Each kitchen is completely bespoke and carefully designed to make the best of your space and meet your own unique requirements. 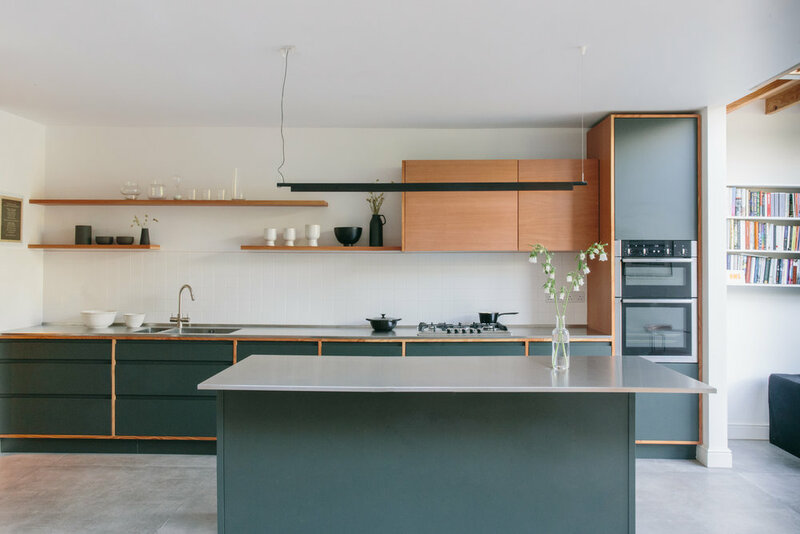 While there is a theme to our signature veneered birch-plywood kitchens, we also design and make bespoke kitchens in any style, from traditional hand-painted tulipwood shaker kitchens to modern handleless styles. Take a look at a few of our past projects below, or get in touch to find out more.